In this floater you can set the falloff curve of the paint brush in the Geometry Paint tool. 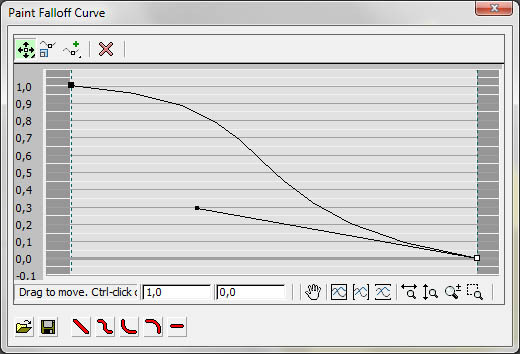 You should be common with the usage of this spline curve editor, as it's the standard curve editor of max. On the left side of the curve, it's the center of the brush, and on the right side it's the border. You may save and load these curves with the load and save buttons, and there are 5 predefined standard curves.